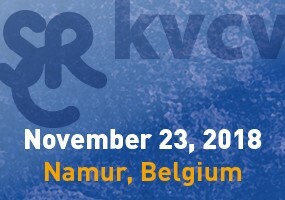 The Medicinal Chemistry Divisions of the two Belgian Chemical Societies, Société Royale de Chimie (SRC) and Koninklijke Vlaamse Chemische Vereniging (KVCV), are organising every year an international one-day symposium with the aim to update participants on selected areas of pharmaceutical research by specialists in their respective field. Discover here the MedChem History. This year, the Annual One-Day Meeting on Medicinal Chemistry of SRC & KVCV will celebrate its 20th anniversary! The first edition was organized in Braine-L’Alleud in 1998 and was dedicated to metabolism and its impact on drug design and development. Since then, various relevant and hot medicinal chemistry topics have been successfully addressed by more than 160 high-quality speakers and have attracted a lot of participants from Belgium and abroad with an unfailing success. This year, the symposium will delve into the latest developments in medicinal chemistry in the field of kinase inhibitors. With more than 35 small molecules approved by the FDA, mainly in oncology, kinase inhibition is still the subject of intense research efforts in both academia and industry. Several recent case studies in various therapeutic areas (transplant rejection, inflammation, oncology) will be presented by industrial speakers. Current challenges such as covalent inhibition, the importance of residence time, or the crucial issue of selectivity will also be addressed through presentations focusing on aspects of molecular biology or chemoinformatics.